We were delighted to work with the Indiana University Liberian Collections and the Center for National Documents and Records Agency in Monrovia to repatriate the archival footage from the 1926 Harvard expedition to Liberia. Approximately two hours in length, it is the earliest known motion picture record of Liberia’s past to survive the civil war. In partnership with the Center for National Documents and Records Agency (CNDRA), the Indiana University Liberian Collections, and the Roy Rosenzweig Center for History and New Media, and with support from the National Science Foundation, we also recently launched A Liberian Journey: History, Memory, and the Making of a Nation, a public history website meant to inform, raise questions, and invite stories about a transformational moment in Liberia’s past. 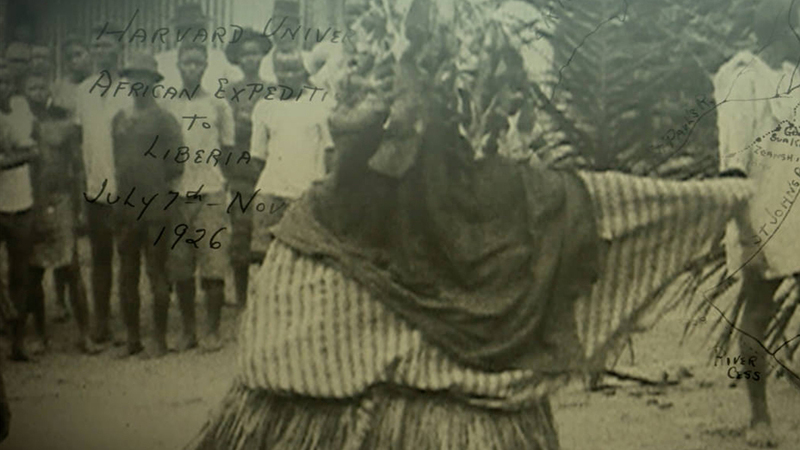 A Liberian Journey features a pilot exhibit on Chief Suah Koko—a noted woman leader in Liberia’s history—along with digital collections containing nearly 600 photographs, more than two hours of motion picture footage, oral histories, and documents linked to an interactive map related to the 1926 Harvard expedition. We are grateful to William Allen, Joseph Saye Guannu, P. Bloh Sayeh, and Yatta Young for their role as Liberian advisors to the website and to the outreach efforts of the film.